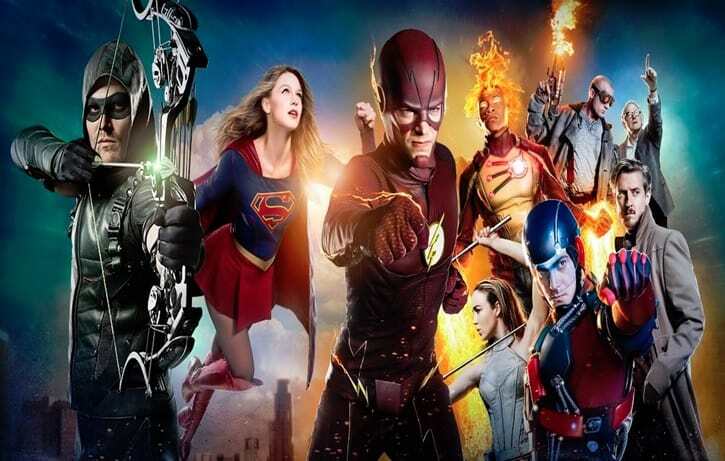 The CW is getting ready to kick off all the new seasons of their superhero series with The Flash, Arrow, Supergirl and Legends of Tomorrow. Last year, you may remember when the network released a phenomenal sizzle reel featuring several of the heroes and villains fighting each other, called “Superhero Fight Club” which became incredibly popular among the fans. Today The CW released 2.0 version of the Superhero Fight Club as the DC TV heroes welcomes Supergirl, who is flying over from CBS over to The CW as the show has a new home at that network. You can check it out below along with season premiere synopsis for all four series. WHAT WOULD YOU SACRIFICE TO HAVE EVERYTHING YOU’VE EVER WANTED? — Barry (Grant Gustin) is living his dream life – his parents are alive, he’s asked Iris West (Candice Patton) on a date and he can finally be a normal guy as Central City has another speedster, Kid Flash (Keiynan Lonsdale), running around saving the city. When Barry starts forgetting parts of his old life, the Reverse Flash (guest star Matt Letscher) taunts his nemesis and tells him that there will be serious repercussions for Barry and the ones he loves if he continues to live in this alternate universe. In addition to losing his memories, his powers will also start to fade. When disaster strikes, Barry must decide if he wants to continue to live in this world as Barry Allen or return to his universe as The Flash. Jesse Warn directed the episode with story by Greg Berlanti & Andrew Kreisberg and teleplay by Brooke Roberts (#301). NEW BEGINNINGS — After Laurel’s (Katie Cassidy) death and the departures of both Diggle (David Ramsey) and Thea (Willa Holland) from Team Arrow, Oliver (Stephen Amell) takes to the streets solo to protect Star City’s citizens as the Green Arrow. With Felicity (Emily Bett Rickards) guiding him from the bunker, Oliver is forced to deal with a city that has become overrun with both criminals and a slew of new (and painfully inexperienced) vigilantes. Watching Oliver try to balance his jobs as both the mayor and also the protector of Star City, Felicity suggests he form a new team, but Oliver resists. However, when a deadly new criminal, Tobias Church (guest star Chad L. Coleman), enters the picture, Oliver realizes the best thing for the city might be a new team of superheroes. Meanwhile, the flashbacks take us to Russia where Oliver faces off against the Bratva. Warner Bros is deleting/blocking ALL the copies of this trailer. Do they not want the publicity? Do they not want people to watch these shows? Guys, it’s a good thing when people are spreading your publicity material for you. Jesus. Now I literally can’t see the trailer anywhere at all. Great job folks! Oh great MYSTICAL SWAMY did you not search the inter web for answers!?! This trailer was intended to only be seen if you download the CW app/ have the app. Now rub my big crystal balls and make haste…. Uh yes I understand that. I’m saying that it’s a dumb policy, because the CW app is not available outside of, well, I dunno, US and Canada? It’s not available in the UK I can tell you that much. YouTube was our last hope of seeing this promotional material. WB shot themselves in the foot. I’m sure it’ll be up on the DC All Access Youtube page soon. This Damn Video Is Not Available Outside The US.